I have a couple of accounts at Fidelity Investments (solo 401k and taxable brokerage), and recently they sent me letter about a new service. FidSafe is a website that stores digital copies of documents for free and is open to the public, no relationship with Fidelity required. (It is technically from Fidelity Labs, owned by Fidelity Investments.) I signed up for an account and took it for a spin. You are only required to provide a name, e-mail, and birthdate (18+ only). 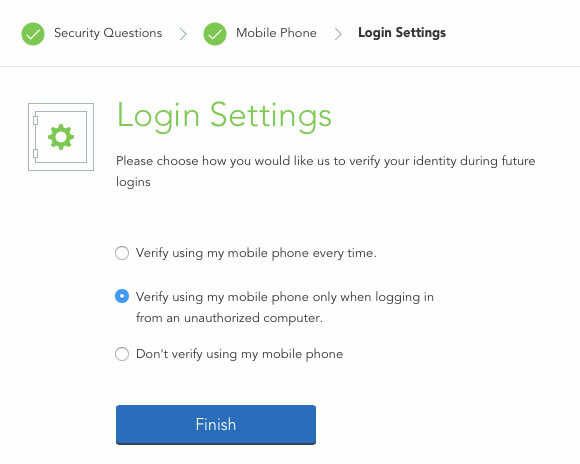 It is highly recommended to provide a mobile phone number as well because they support two-factor authentication, and you can choose to have it activated for every login attempt or only on unfamiliar devices. In addition to the two-step login authentication mentioned above, FidSafe states that all files are encrypted both in-transfer and while stored on their servers. You can also upload files that you encrypted yourself, although that will make them more difficult to share with others. FidSafe employee access to your personal data or documents is also restricted. FidSafe users will each get 5 GB of storage space without charge. You can see your storage status under “Settings [Gear Icon] > General”. Individual files are limited to 200 MB in size. Files shared with you by others do not count against your storage consumption. Their site states that files of any type can be uploaded. I uploaded various test files of PDF, PNG, JPG, DOCX (Word Documents), and XLSX (Excel Spreadsheets) formats and they all worked fine and were able to be shown by their in-browser viewing tool. As for what files to store, they provide a suggestion list in their FidSafe Fundamentals Kits here. You can either choose to share specific personal documents with other users all the time, or designate someone to have access to all your documents only upon death. In both cases, the person you are sharing with must be invited through via e-mail and sign up for their own FidSafe login and password (and provide name, e-mail, birthdate). For immediate sharing, your designated “Contact” can only view the specific documents you share with them. You can choose to give them view-only access or add the ability to download. To sign-up for the service, under “Settings” you will provide the last 4 digits of your SSN and a designee (one of your existing FidSafe contacts). Upon notification of your death, FidSafe verifies your death certificate and shares your FidSafe content (only documents and notes; passwords are not shared) in the designee’s FidSafe account. Any time after signing up for this service, you can change the designee or unsubscribe to the service. […] When FidSafe is notified of your death (by family member, attorney, etc. 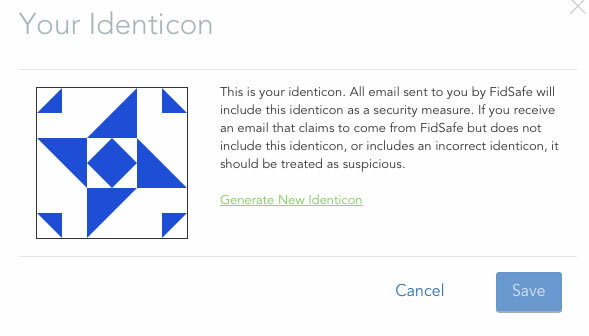 ), FidSafe collects the notifier’s contact information (first name, last name, email address, phone number) and decedent’s information (first name, last name, email address used for FidSafe registration). FidSafe will also need a copy of decedent’s certified death certificate mailed to the following address – Fidelity Labs FidSafe Support, 245 Summer Street V3A, Boston, MA 02210. If the death certificate is verified, FidSafe will share decedent content in designee’s FidSafe account. Having a secure, central place where you store your family’s important documents can be quite useful for estate planning and other needs. There may be an emergency (fire, natural disaster, medical) or you might just be applying for a mortgage or a new passport. Providing online access can make things much easier if important people live far apart. There are numerous start-ups out there now that try to combine digital storage and estate planning, but FidSafe is backed by an established, reputable company (that may have a lot of your personal information already). All available security mechanisms appear to be supported, including two-factor authentication and file encryption. I’m not sure what additional measures could be added. Did I mention it’s free?! Other places can charge $75 a year. The fact that this is a free feature can also be seen as a negative because what happens if Fidelity feels a need to “reorganize” or “streamline” their operations and discontinue the service. It probably isn’t a huge expense but it surely costs something to support. This is the type of service you’d want to be around indefinitely. If you choose to share sensitive documents with other people, then you are depending on them to keep your information secure. If you share your file with someone who uses the same password everywhere or downloads the file onto their home computer (or even prints it out), then that can become the weakest link. Making things view-only is a partial solution. I’m incredulous that anyone would store anything of importance on the Cloud. Between the NSA, Russian Hackers and the entire market for stolen credit card, banking and identity theft information you are beyond looking for trouble to put anything out there over and above the exposure you already have. There is no such thing as a secure system and basically everything that is either digitized and stored on a device anywhere or involves money, is known, watched, mined and will ultimately be used against you when it is to the benefit of those who supposedly operate in the public interest or just in their own self interest to use it against you. I’d recommend Evernote or Transporter for this. Both of them have been a lot longer than the fidelity service and excellent automatic ocr and document indexing and tagging features. Transporter is the more secure of the 2, but Evernote at least has 2-factor authenticaton. FidSafe has the allure of being free. When you say Transporter, I assume you mean the hardware device that creates a private cloud? I’ve heard about Evernote over the years but never really looked into it, so not sure how to use it or if there is a free account option. very cool to know about! thanks! I really like evernote because you never loose access and the limit is on upload not a total cap. It also lets you choose to put it online, just save a local copy, or do both. Thanks, Jonathan. I’ve been a Fidelity customer for several years and I didn’t know about this. I have been a Fidelity Customer for many years. 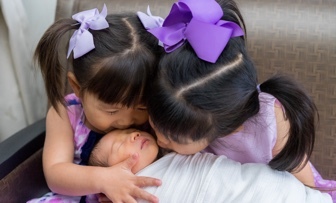 I love that they are trying to develop areas of their business that they see a true need in financial and legacy planning. I like the program, so far. I would like to see it developed a little more, but its a great start to what I hope will be a long term supported program. I think the program needs to be “marketed more” by Fidelity by their Local Financial Offices and via relationships with corporate 401k plans so that more people utilize the program. I only hapened to come across the program in a sentence in a Fidelity Sourcebook that this was a service to consider. Even after a one on one with a Financial Adviser and multiple times on the Fidelity website, I had never heard about the program until the Sourebook I picked up at a Fidelity Advisory Center. This may help Fidelity drive alternate revenue streams (selling increased storage space, selling appropriate related ads, etc.) to keep this product free long-term. Love it! Keep up the good work Fidelity / FidSafe. Article says nothing about who has the encryption key. For maximum security it needs to be you, not FidSafe.